Happy February everyone! I’ve found this lovely full size Odacite gift at Bluemercury. Lancome x Nordstrom double gifts are available now. Plus, new Sephora free sample bag and Lord & Taylor Spring Gift Bag 12-piece with $100 purchase have begun!! Bluemercury (NEW) Receive a free full size Odacite Baodbab Sarsaparilla Serum Concentrate with any $75 Odacite purchase. This post may contain affiliate links. Read the full disclosure. Ready for another great Singles Day beauty deal 2018? B-glowing is running Holiday Beauty Bundle ($250+ Value) with orders $175 or more + secret special Singles Day page you must see! Lord & Taylor is offering beauty bag with any $100 beauty purchase. If you missed Target x Dermstore beauty box past Sunday, read on! b-glowing (NEW)(VERY HOT) Receive a b-glowing 2018 Holiday Bundle $250+ Value free with full-price b-glowing.com Orders $175+ (before discount). (NEW) Shop all B-glowing exclusive singles day offers here. One gift is OOS already, don’t wait! This post may contain affiliate links. Read the full disclosure. Happy Tuesday! Stila Cosmetics offers very rare 9pc gift with any $50 purchase! Nordstrom has a new Anastasia Beverly Hills Sultry Palette + 11pc gift. Neiman Marcus has $50 off $200 purchase and Lord & Taylor has 7pc Elizabeth Arden gift + 15% off. 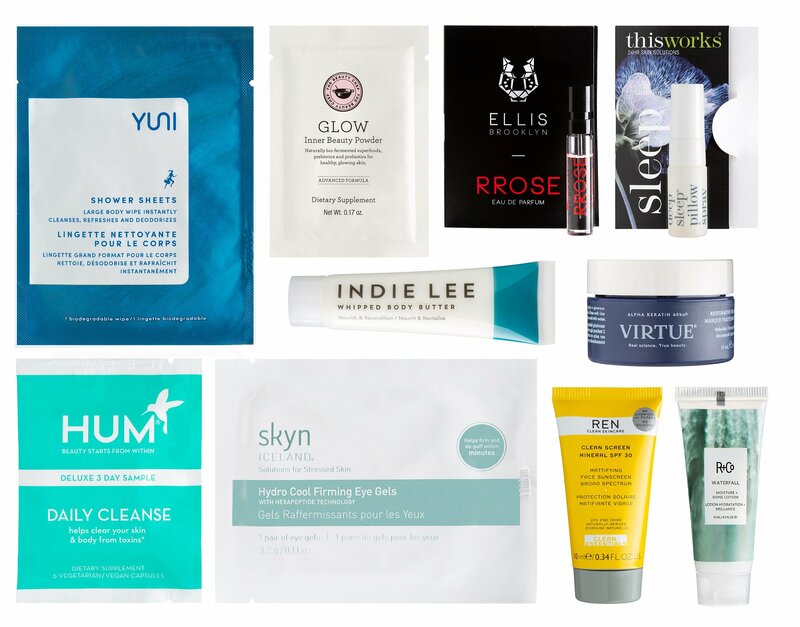 There are a lot of new beauty deals and offers for you below! NORDSTROM (NEW) ANASTASIA BEVERLY HILLS Sultry Eyeshadow Palette $45. This post may contain affiliate links. Read the full disclosure. There’s a fantastic Lord and Taylor beauty bag 19-piece with any $50 beauty purchase. Plus, I have new beauty offers from lta, Sephora, Belk, Barneys, Space NK and Cult Beauty to share with you! Lord & Taylor (NEW)(HOT) Try Love Buy Event! Receive the chic Hello Gorgeous Bag and 19 Beauty Samples with your $50 Beauty or Fragrance Purchase. This post may contain affiliate links. Read the full disclosure. Which gift is better? Estee Lauder 7-piece gift with $37.50 at Lord and Taylor or Dillard’s? You can also get a rare travel bag filled with beauty samples at L&T on any $50 beauty purchase. Plus, there is a nice 8pc Elizabeth Arden gift with $50 at Macy’s!! Estee Lauder Gift with Purchase at Dillard’s Dillard’s (NEW) GIFT 1: For a limited time, customize your free 7-piece Estee Lauder gift with any Estee Lauder purchase of $37.50. * Worth up to $165! See Estee Lauder. Choose Your Gift: This post may contain affiliate links. Read the full disclosure.